Nice – I like the “long form” edit of this climb. I hate it when videos cut out most of the climbing footage. Here you get an idea of the length of the climb and just how long you have to pull down for. Great clip. No HD though? The lack of full coverage is becoming my major gripe about climbing films by the “big guys” like Sender and BigUP. I know they’re trying to tell a story and there are editing limitations to a certain degree but you are making a CLIMBING film. Look at Origins – The Hulk. Croft and Ranks on a HUGE, AWESOME route. Maybe 15% of the film actually shows them climbing on the HULK. I mean, who doesn’t want to watch Croft send 12+ all day long. Instead we see the Crux corner and then some “highlights” before they top out. REALLY? I also enjoy the long format but for something like the Reel Rock Tour which is meant to be shown in front of large, usually mixed audiences the long format really doesn’t work on a lot of levels. I would personally like to see more long, uncut edits in climbing focused films though. Yeah I feel like that was a weakness of the Reel Rock tour, and frankly, the Hulk session had probably some of the longest stretches of just climbing. I mean, we only got to see like 4 moves on Neanderthal, a 5.15b FA. I’d love to see a long format cut like they had for Jumbo Love. 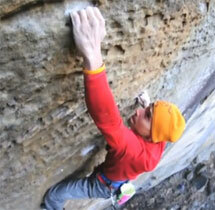 that Pure Imagination video is one of the better sport climbing vids I’ve seen in a while. You get the whole route, along with some blurbs from the climber, without it being totally chopped down into bouldering style clips. From my perspctive, only certain routes lend themselves to the long-cut…those with clearly defined, unique moves/holds throughout. The film of Pure Imagination certainly fits this bill, and it’s fantastic. I don’t care to see full versions of some of the other RRG jug-hauls however, just the spicy bits. I suppose it would be nice, however, if every film included the full version at the end as a bonus for interested parties.